Whether for a teaching tool, for filling a journal or a collector’s sticker book, or for general personal use; both adults and kids will love these colourful flag labels. Once you have selected one of the designs below, you are able to select a specific adhesive and material for the premium appearance you desire. Finally, choose your quantity and we’ll do the rest! 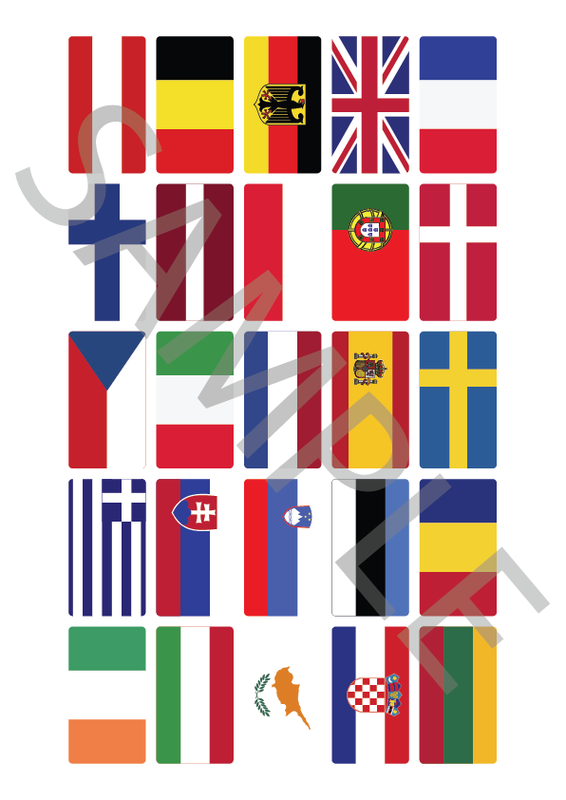 If you require a different size or different selection of flags from around the world, please do not hesitate to contact us.